Today's featured Mixologist is Cody Goldstein, founder of Muddling Memories, a cocktail/bar consulting firm in NYC. Cody was nominated as one of 2015's Best Bartenders by Timeout New York and has had his recipes featured in leading national publications, including: Town & Country, Huffington Post, and Eater, among others. In addition to creating unique recipes, like the one below, Cody's work has been published in multiple books including: HICKORY DAIQUIRI DOCK: Cocktails with a Nursery Rhyme Twist, published in 2014 by Running Press and GONE WITH THE GIN: Cocktails with a Hollywood Twist, to be released in October. Wanting to bring the best elements of the great outdoors to the glass, Cody created the Outdoorsman Cocktail. Featuring Bache-Gabrielsen VSOP Natur & Eleganse, the masculine spirit with a fruit forward elegance, The Outdoorsman is a fragrant and flavorful masculine beverage. Rim half the lip of a rocks glass with a lemon wedge and dip into smoked salt. Add ice to the glass and set aside. 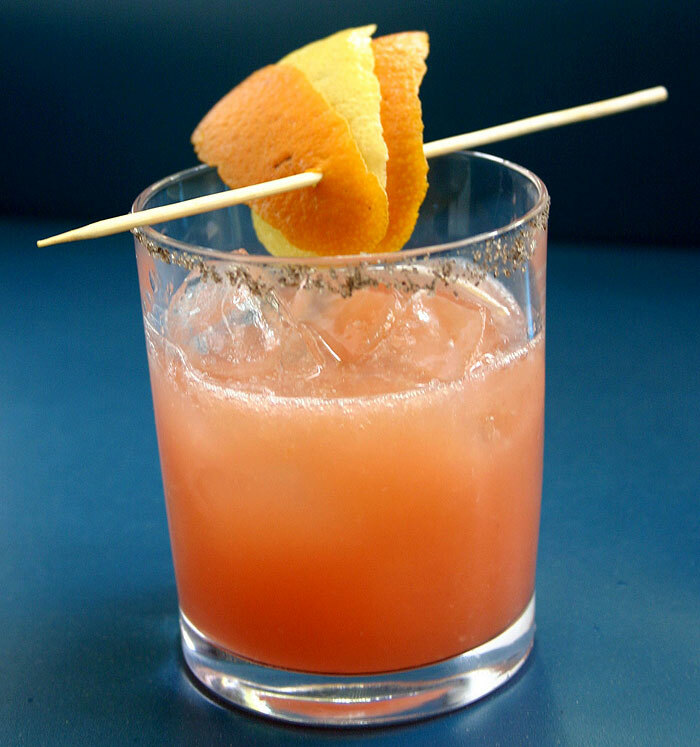 Combine Bache-Gabrielsen VSOP, honey-ginger syrup, blood orange and lime juices into a shaker with ice and shake. Strain over one large “rock” of ice. Flame a lemon and orange twist over drink and skewer for garnish. Top with a splash of mineral water and serve. Optional: use blood orange soda as an alternative to the blood orange juice + mineral water. Honey Ginger Syrup and Blood orange in the same glass? MMMMmm! Sounds decadent and refreshing too! This sounds lovely! I can never resist cognac with a flamed orange twist! Honey and ginger syrup sounds DIVINE. Bet it complements the cocktail perfectly! If I hear or read ginger I am 100 % in. No words periods. I don't drink but I love a good mocktail and this flavor combo would be perfect for one! This sounds like it would have a lot of zing with the ginger and blood orange! Love it! So many flavours! Urgh! That drink!!! I would kill for a glass of this now! Oh my gosh, I love the names of both of those books. I'll look up the older one and put a hold on the upcoming one! Now, pass me this cocktail. A nursery rhyme themed cocktail book sounds quite clever. I can't wait to try this one! I'm always looking for a new cocktail and the ginger with blood orange sounds fantastic!